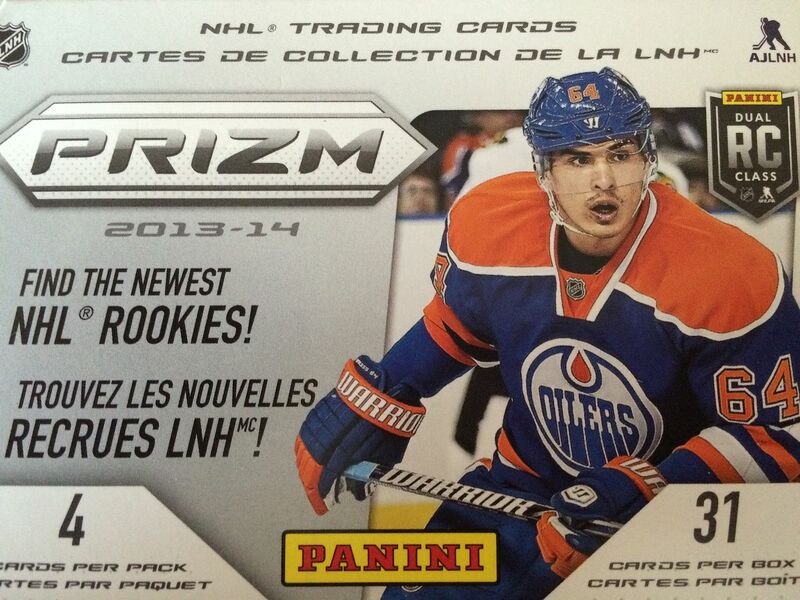 Prizm is a product that is very similar to the OPC Platinum product that I opened up a couple weeks ago. This set really relied on parallels to drive collector interest. Unlike the Topps and Upper Deck versions, these cards are a bit thicker and feel a bit more sturdy. Prizm never really took off in a big way, but it's always nice trying to find some low numbered parallels once in a while. Prizm was a brand that Panini absolutely went crazy on producing a few years ago. I remember Panini making the product for every sport... and with the same exact design. The cards are pretty nice, but with the market so full of these cards in every sporting flavor, it got old pretty quickly. The only hit collectors can really find are autographs. The autographs come on a standard looking card, and usually on a sticker. Panini really tried to make the main draw of Prizm the parallel cards. Golds numbered to 10 were particularly popular, but I felt that there just wasn't enough content to keep collector interest. Maybe some memorabilia cards would have been a nice addition. I feel like it's been a while since I've opened up one of these blasters, so I'm excited to get into it and see what it has to offer. Eh, for a product that is supposed to feature parallel cards, this was sorely lacking. Maybe that's why Panini put the cellophane pack with three extra blue cards in it. This blaster contained no other parallels than the ones in that extra pack. I did, however, get a smattering of rookie cards as well as a die-cut. None of the rookies were really of note... and pretty much the entire blaster was pretty lackluster. That's too bad... but I guess if collectors shared my feelings toward this blaster than it's no wonder why Panini hasn't really kept this line up too much. 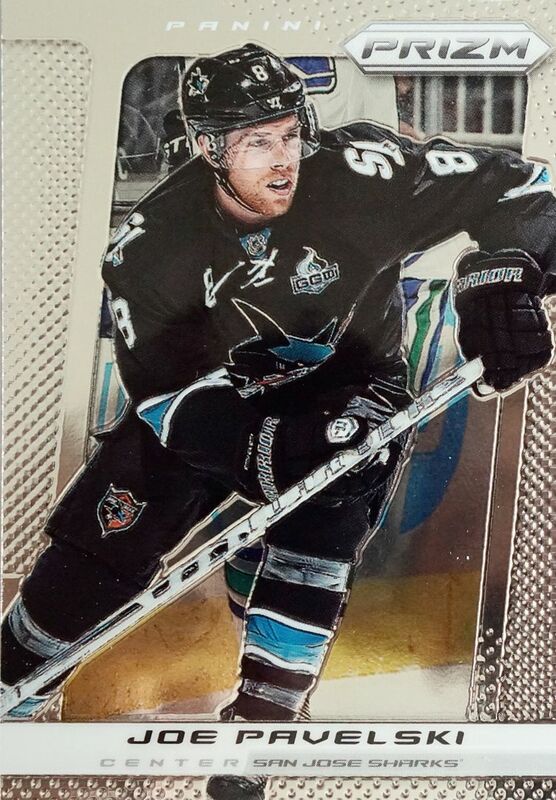 It was either trying to pick a blue parallel card or this Joe Pavelski card. I went with Joe because I'm a total SJ Sharks homer! 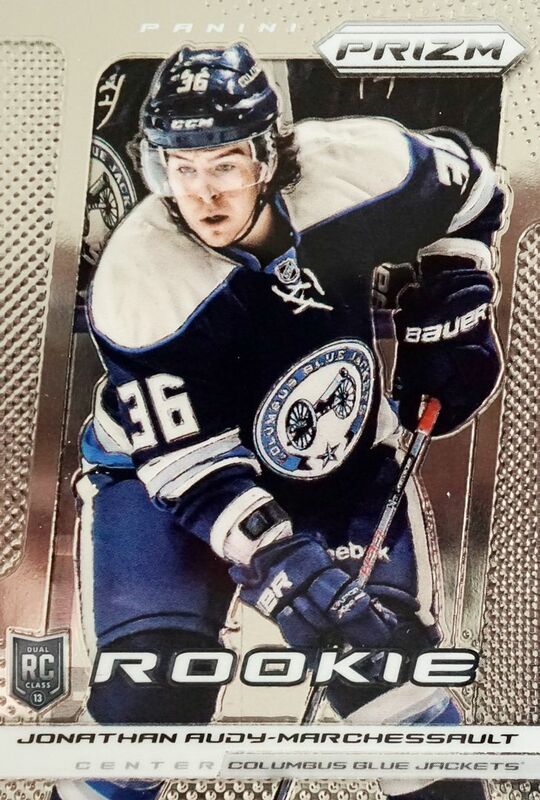 The only reason I chose this card was because I like how long this player's name is. It's so long that Panini had to go with a really small font. This die-cut was probably the most special card out of this blaster. 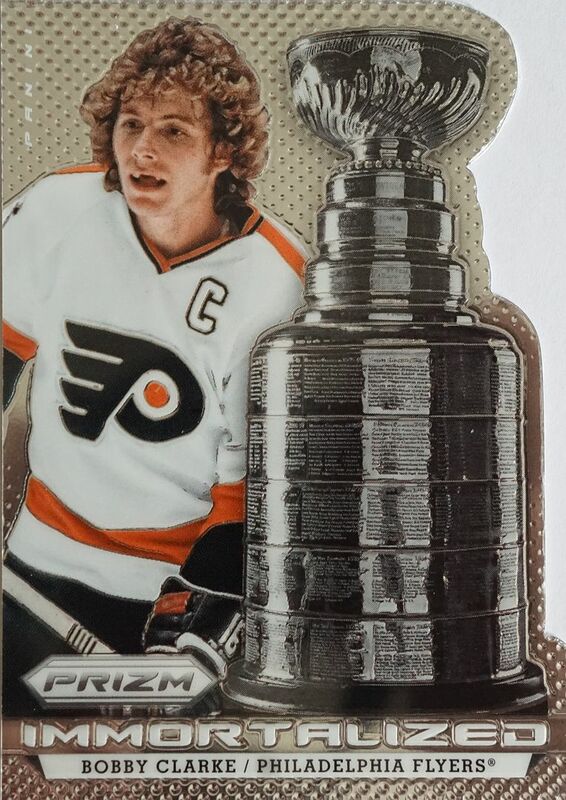 It's cool how the edge of the card is cut to fit the contour of the Stanley Cup. While design-wise this card is pretty good... value-wise there isn't much here. Prizm is a product that you can't really win with. Sure, there are parallels to chase, but getting one that is worthwhile is slim and few and far between. Prizm hasn't really aged well since it was released and is a product you could probably skip. There's quite a bit better out there for your hard earned money.